Mini Racing Adventures challenges you to unlock our collection of 19 unique vehicles each with their own feel, to travel across the farthest reaches of 8 adventurous stages. Race into action as you select your favorite Buggy cars, ATV, Trial Motor Bike, and even Truck to climb the highest hill, dirt tracks, snowy mountains, and other beautifully designed stages. Maximize your vehicles potential by unlocking 5 different upgrades. We wish we could see you at the finish line but the road never stops so you will have to create your own. Are you up for the challenge? 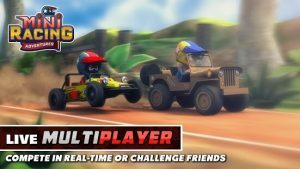 Mini Racing Adventures game is a challenge for any speed freak, off road climbers, rock crawling and auto enthusiast, and even asphalt drag racer. No traffic lights, pick your own favourite cars that suit your driving style, fast your seatbelt, speed up and help Martin win those furious races! 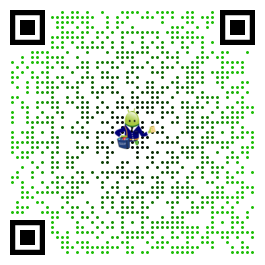 *For fast response, please send us bug report and any problem to info@minimostudio.com, report in User Review will be replied several days. There are some bugs and suggestions that we haven’t fix yet, please be patient and keep us updated. Thanks for the support! Great game Great cartoon graphics. Smooth game play. Haven’t had any glitches so far like a lot of other free games have. Graphics are good, however Hillclimb Racer has better vehicle sounds unique to each one while these are either a whirring/buzzing noise for cars and a sputtering/clicking noise for motorcycles. Also, track selection is weak. Route 66? Really? No dynamics to that level just hold down the gas until you run out of fuel. Could have taken the whole desert theme and turned it into a fun dune level. It’s ok for a time killer, but I still prefer Hillclimb.